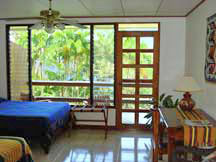 Lake Arenal Hotel Villa Decary Bed Breakfast Costa Rica. Affordable. Spectacular Lake Views. “. . . Breakfasts are extravagant and memorable . 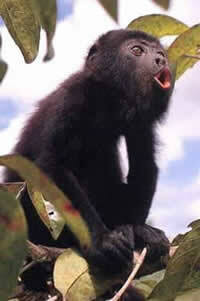 . . There’s great bird-watching on the hotel grounds, and howler monkeys are common guests here as well." “Villa Decary is an all-round winner with bright, spacious, well-furnished rooms, delicious full breakfasts and fantastic hosts . . . "
Welcome to Hotel Villa Decary, overlooking the majestic and pristine Lake Arenal and the beautiful Tilaran mountains. The Lake Arenal region is a special area of Costa Rica, uncrowded and unspoiled. At an elevation of 1800 feet, we are blessed with a uniquely temperate climate of cool nights and warm days. Nature abounds in our enchanted rainforest. This magical area is rich with a lush and varied plant life, beautifully colored butterflies, more than 250 species of birds, and troupes of shy roaming howler monkeys. Ours is a true middle elevation rainforest set in the hills of Costa Rica at the edge of Lake Arenal. 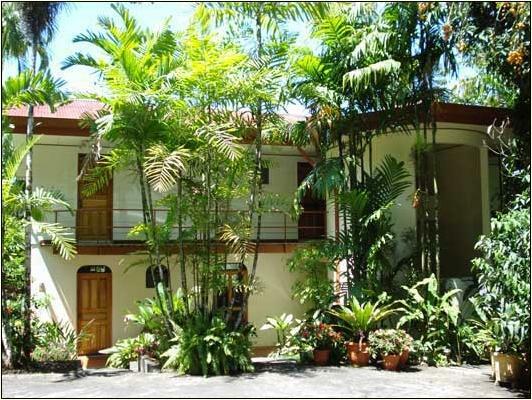 Affordable and relaxed, the American owned and operated Hotel Villa Decary is nestled in a green hillside, within a botanical garden of exotic tropical plants and palm trees from around the world. We are located just east of the charming and tiny Tico town of Nuevo Arenal, a safe 14 miles from the active and popular Arenal Volcano and Hot Springs. Your spacious room has its own entry and private tiled bathroom with hot shower, built to North American standards. The rooms are colorfully accented with beautiful fabrics from Guatemala and decorative items made by the Chorotega Indians, complementing the workmanship of local Costa Rican artisans who have crafted the fine wood doors and furnishings. In addition to the rooms in the main building there are three separate casitas with kitchens which are favored by families, bird-watchers and honeymooners. 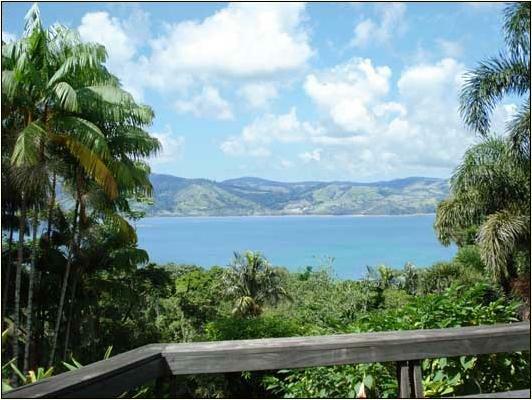 Every unit has a private balcony or deck with scenic views overlooking Lake Arenal, the rainforest and mountains. 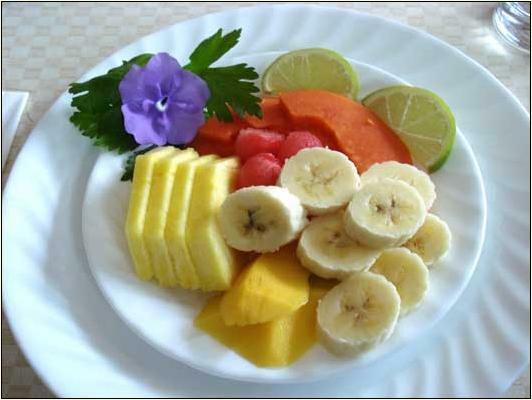 We take pride in our exquisite and leisurely breakfasts which are raved about by our guests and in the guidebooks. As a country inn, we offer hiking trails around the property for viewing the large collection of tropical plants and to investigate the rainforest environment, where you just may see a family of nesting turkeys, the Red-Eyed Tree Frog, the elusive White-collared Manakin or the distinctive Yellow-throated Euphonia. Binoculars and Costa Rican birding books are available for your use. When planning your Costa Rican vacation, consider Lake Arenal as a perfectly peaceful and relaxing stop between the bustling tourist towns of La Fortuna at the Arenal Volcano, and Santa Elena, site of the Monteverde Cloud Forest Reserve. We look forward to your visit with us at our rainforest retreat, the Hotel Villa Decary, a country inn on Lake Arenal, Costa Rica. Member - Adventure Hotels of Costa Rica Hotel Villa Decary is a participating member of a select group of boutique, small hotels located on the beach, in the mountains, near National Parks, and all offering nearby adventure activities.